For Honor update 1.17 will soon roll out for players on PS4 and Xbox One. According to the For Honor 1.17 patch notes, there are changes for Fighters as well as game improvements and fixes. 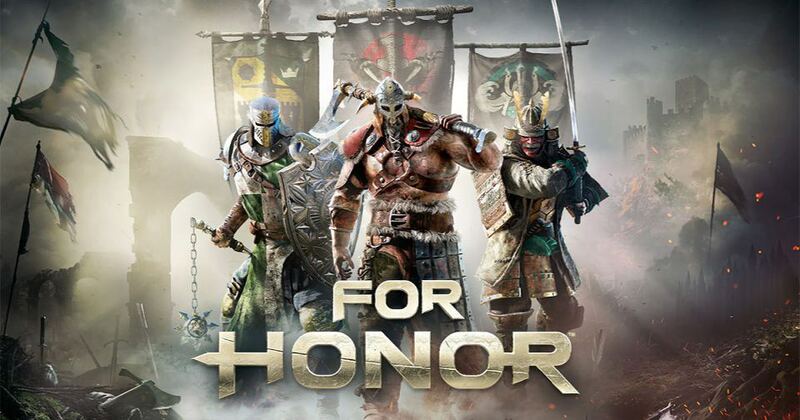 In addition, For Honor version 1.17 also fixed an issue where the player unable to get back into matchmaking after the group leader quits a match with the group following. Check out full details below. “Predator’s Hunger”, “Predator’s Mercy” and “Wild Cat’s Rage” now have reduced the ability to track the opponent. “Predator’s Hunger”, “Predator’s Mercy” and “Wild Cat’s Rage” cancels to combat idle has been increased to 24 stamina (from 10). “Predator’s Hunger”, “Predator’s Mercy” and “Wild Cat’s Rage” now have 100ms shorter windows to cancel the strike. “Predator’s Hunger’s” and “Predator’s Mercy” attack strike range slightly reduced. Fixed an issue where “Predator’s Hunger” would look strange when hitting an opponent who did not react. Addressed a bug that prevented Shaman from successfully using Deflect against external attackers. For Honor update 1.17 fixed an issue that caused the “Raven’s Beak” to become visually offset if performed after the opponent dodges. Addressed an issue that would cause the Shaman to not play any sound when she is thrown off ledges. Fixed an issue that caused the Shaman’s “Predator’s Hunger” to glide in the air when performed on an unbalanced opponent. Polished the sounds of the Shaman execution. For Honor 1.17 fixed an issue that causes the Lights and Heavies of the Shaman to play no sound while hitting soldiers. Addressed a missing feint animation on “Rushing Wind Alternative”. Polished the Aramusha parry animation to make them make them look more responsive. fixed an issue that allowed opponents to parry the Aramusha’s Heavy during a Guardbreak. Addressed an issue that would cause “Ring the Bell” to not be properly interrupted in case of Bumps. For Honor update 1.17 addressed an issue that would cause the Aramusha to not play any sound when thrown off ledges. Fixed a bug where soldiers who were killed with chained attacks could incorrectly interrupt and push their killer. Please note that this issue is not fixed on the Centurion. This will be addressed in a future update. All characters can now dodge while they are “Stunned” by feats. This affects “Fiat Lux”, “Kiai” and “Stun Trap” that previously did not allow the affected player to dodge. For Honor update 1.17 fixed an issue that could prevent players from climbing on ladders. Addressed an issue that caused an improper death animation when the Conqueror died in a Spike Pit. For Honor version 1.17 addressed an issue that caused an improper death animation when the Conqueror was killed while unbalanced. Addressed an issue that caused the Lawbringer to be incorrectly interrupted when using a Right Throw to throw the opponent over a ledge. This also prevents the opponent from being thrown over the ledge too early and solves a bug where this early bump would cause Lawbringer to drop an Offering. For Honor update 1.17 addressed an issue that caused the Raider to be incorrectly interrupted when using a Left, Right, or Back Throw to throw the opponent over a ledge. This also prevents the opponent from being thrown over the ledge too early, and solves a bug where this early bump would cause Raider to drop an Offering. Warlord “Crashing Charge” will now correctly hit the target in the campaign. Modifications to Warlord “Crashing Charge” collision detection have been made to improve targeting and the dodge timing for the opponent. Stamina cost increased to 20, on miss “Crashing Charge” will cost 40 stamina. Damage of Out of Lock Warlord Attacks is now in line with Locked version. Valkyrie’s “No touching” execution is now available. Opponent falls off the ledge if the Shinobi performs a “Grab” move near a ledge. This is now fixed. The stamina cost of Punch after heavy finisher will now correctly cost 12 stamina (was 16) when performed after Lion’s Fangs and Lion’s Bite combos. [Fight] Gladiators’s “*****ed Attack” is marked as a “Attack Light”, it should be a “Attack Melee”. This is now fixed. Fixed a bug where Highlander would be incorrectly bumped when using any direction Throw to throw the opponent over a ledge. This also prevents the opponent from being thrown over the ledge too early and solves a bug where this early bump would cause Highlander to drop an Offering. For Honor 1.17 update addressed an issue that caused the Highlander to slide to his left when performing an Heavy Attack inoffensive form. Fixed animation issues that were offset while grabbing the Offering. Addressed an issue that caused the players to be unable to pick the Offering while an ally is reviable inside the interactions area. Now the player is able to chose his preferred interaction by orienting the camera toward it. For Honor version 1.17 addressed an issue that could cause players to remain stuck in the Shrines. Addressed an issue that caused Blessing’s visual effects to not be displayed on Bots which are getting substituted by the players. Addressed an issue that caused active shrine boost to not be granted to players when they join a custom match of Tribute that is already in progress. Fixed an issue where Bot could occasionally remain stuck in Ziplines. Addressed an issue that would cause the player to be redirected to the Main Menu instead of the Game Lobby after viewing the Ranking screen. For Honor update 1.17 fixed an issue that caused players to get redirected in PvAI session after an Host Migration in a PvP session. Addressed an issue that would cause the player to be unable to get back into matchmaking after the group leader quits a match with the group following. For Honor version 1.17 addressed an issue that causes the Shipyard map to not play all the ambient sounds it was supposed to. Fixed an issue that causes the camera to not positioned in the right direction on spawn in Elimination. Removed some floating arrows from the bridge near Capture Point A. For Honor update 1.17 addressed missing sound during the introduction cinematic. The background scenery would change on match completion. This is now fixed. Addressed an issue that caused Bots to drop too early from zipline. Added a 3rd paint pattern to all the Raider outfits. He is now on par with all the other Heroes. For Honor update 1.17 added a missing sound effect for the Shugoki’s “Darkness” and “Bats” mood while idle. Removed a sound effect on Shugoki’s “Smoke” mood that was not supposed to play. This mood was actually playing the sound of the “Skull” mask. Fixed an issue that would cause executions bought in Bundles to not be automatically assigned to an Input if all 4. For Honor version 1.17 addressed an issue that would cause moods, executions and emotes to not play sound while viewed in the Hero customization screen. Addressed an issue that caused the Faction Rank, next to the number of troops on that territory, to not be displayed while viewing a territory. For Honor update 1.17 addressed an issue that caused the War banner expiration message to shows twice on the screen when switching factions while keeping the tactical view layer activated. Fixed an issue that caused the War banner icon to not change if factions are switched when a front remains selected and the war banner is planted while the tactical view is active. Addressed an issue that caused Season 4 blades thumbnails for Warden to be offset. Addressed a user interface overlapped while selecting Duel Tournament. Fixed a notification error when recruiting the Shaman. Addressed an issue that displayed the Conqueror on the Season 1 Lawbringer bundle. Added “How To” video for Tribute. Addressed an issue that caused the gamepad tooltips to not update the changes made during the game. Fixed an issue that caused the execution button prompts to not change if the player switches the layout right after connecting the last hit. Addressed an issue that causes the client to remain stuck on a blank world map after accepting an invite from Host on Season Round Reward screen. Fixed an issue that caused the wrong text chat privacy icons to be displayed if two players are in the same group but on different teams. Please note this issue only occurred in Custom Matches. Fixed an issue that caused Execution 3 and 4 to be unbinded immediately after unbinding the key for execution 1 and 2. For Honor 1.17 fixed an issue that caused Sprint to exit Guard mode to remain active even if Lock Toggle is off. Addressed an issue that caused Execution 3 and 4 to be assigned to default keys even if other ones have been specified. Fixed an issue that caused the PS4 button icons, while viewing the gamepad layouts, to display PS4 and Xbox buttons prompt. For Honor version 1.17 addressed an issue that causes the Letterboxing to be missing for some menu screens on 21:9 monitors. Skill values for Matchmaking will be rebalanced. This concerns all unranked modes. Your first matches after this change are applied are likely to match you against a wider variety of players than you would normally expect for your skill level. During this short period the Skill Comparison on the Face Off screen will be inaccurate as well. After these first few (10-20) matches the system will realign you to your proper Skill rating. The objective of this rebalancing is to allow people returning to the game after some time away to not find themselves steamrolled in matches with much more skilled players. Creation of a new “Ranked” Front on the War Map that is composed of Ranked Dominion Beta and Duel Tournaments Beta. This was done to increase the visibility of our ranked activities and bring more players to the modes. Matchmaking Update for Dominion Ranked Qualifier Matches. For Honor 1.17 addresses a bug which was giving players a “hidden” rank during the Qualifiers which made it difficult to successfully matchmake after completing the first match. Previously, update 1.16 was released with Xbox One X support. Check your game update and download latest For Honor update 1.17 on PS4, Xbox One, and PC.